The most effective marketing campaigns are multi-channel efforts that reach all members of your target audience in a way that best suits their preference. 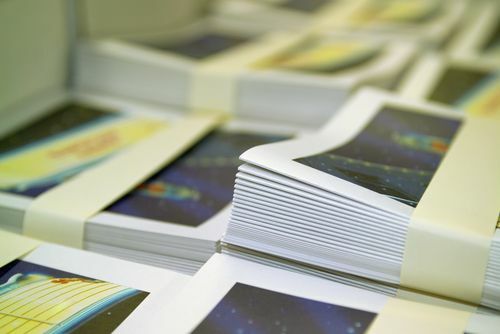 While there has been an increased focus on social media and digital marketing campaigns because they can reach consumers quickly and at a relatively low cost, you still need effective print material. Modern web-to-print solutions make these materials possible quickly and at a much lower cost than was ever possible previously. Printing costs are lowered without any comprise in quality because you do not need additional personnel to manage an in-house print department. You do not have to purchase, maintain, and upgrade very expensive equipment or constantly pay for training so your employees can operate it. All of your templates, images, and content can be easily stored online and you can order materials in just a few minutes via any computer. The total process is streamlined because everything can be done online. There is no need to make trips to the printer. Final approval of the product can be done online and the materials are promptly shipped to the location of your choosing. Frequently used logos and templates are on file and ensure all of your materials have a consistent look that matches your desired brand image. One company can provide help with cross-media marketing and printing. Web-to-print makes editing and last minute changes a breeze. You can easily track batches and receive updates on progress without having to leave your office. Since the entire process can be managed and monitored daily and changes can be made quickly, any necessary changes to content can be completed almost instantly. Your sales team and legal department can review materials simultaneously and collaborate on the final product. You remain in control of your order from start to finish.